What is the Makerspace Coordinator Certificate? 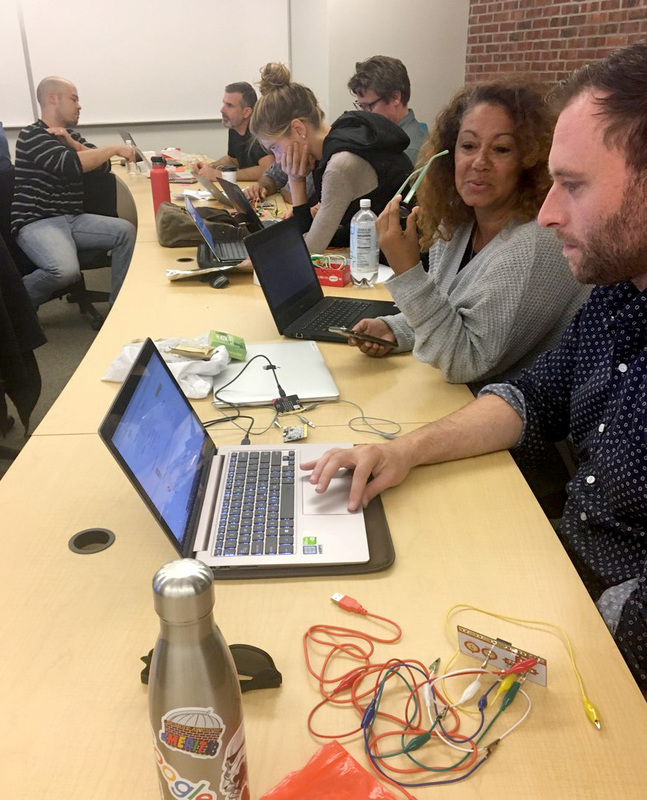 The Makerspace Coordinator is a certificate program that is designed for people who are seeking employment in fabrication laboratories and makerspaces within community centers, libraries, and educational settings. The program provides instruction and support for building models and prototypes, strategies to spark innovation and invention, and creative problem-solving and collaboration. This certificate is ideal for classified and certificated personnel at school sites, community center volunteers and employees, librarians and assistants, and anyone interested in becoming a creative and collaborative member of a makerspace. How long does the certification take to complete? If you start with the summer intensive, you can finish the program by winter quarter if you complete all of the courses with your cohort. Is the certificate available online only? Due to necessary training on makerspace machinery, the certificate coursework is blended with each courses having at least one face-to-face meeting requirement. Every situation is different, but for a permanent California resident, the cost is approximately $750 for registration fees and units. You should always check with admissions and registration, based on your residency and other factors. There is a week-long summer intensive to start. This usually occurs in late June or early July. In addition to the in-person classes, there is some online coursework to complete. In the fall quarter, there are two courses to complete, usually occurring in-person on a Saturday in October and a Saturday in November. These courses also have some online coursework in addition to the face-to-face meetings. For the winter quarter, you’ll complete two more courses, also occurring in-person on two Saturdays (one in February and another in March). These two courses also have an online component to complete. There is an interest form (here), for notifications of when the next summer registration dates are released. You’ll also be notified whenever there are follow-up courses in the fall and winter quarters. For more information, contact gro.retnecnoitavonniesuarknull@opaledl.